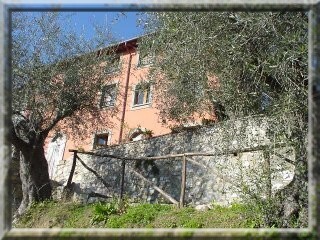 The farmhouse is surrounded by woods, olive groves and vineyards, it is located in the very high part of Bozzano, an outlying commercial centre of Massarosa, a town with a population of 2700, provided with all comforts and easy to get to. The farmhouse is a very old Italian colonial styled house, restored by the some holders, when they brought to the light the original features of past time. You can rent luminous lodgings, furnished in Tuscan style and spend agreeable moments on the edge of the swimming-pool. Family management and well-known country hospitality will guarantee you a Period of comfort.